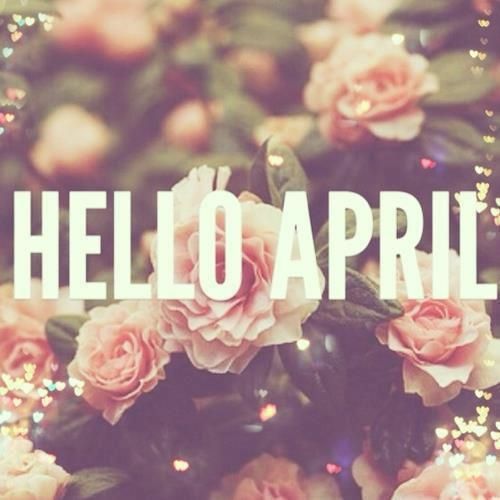 Welcome to April! Spring is in full swing! Thank you for allowing us to stay in touch with you! Jen had a very busy March as the spring real estate market is in full force. Besides working, Jen has been watching her children play soccer and taking in the nice weather. She has been enjoying going on walks with her old dog, Clyde, and family while savoring all of the cherry blossoms, azaleas and dogwoods that North Carolina has to offer. Jen hopes that this past bout of cold weather is the last for a while. Jason had a great March and is really excited about the upcoming Spring. He started off the month by getting engaged to his girlfriend, Samantha and just a few short weeks later, they broke ground on their new home they are building! Beyond those exciting events, Jason has been teaching and playing soccer as usual, as well as trying to handle this crazy real estate market! Sharon is certainly enjoying the warmer weather and getting outside more. She just got back from a fantastic girls’ weekend in Charleston, South Carolina, with some good friends! Her boys are doing great, and working hard in school and work. Ryan has been busy with the Spring Musical at Enloe and Sam is starting his last quarter of his Senior Year in High School. Graduation is just around the corner!! Big news at the Frutiger’s house this month. Jesse is back on US soil after a seven month deployment to the Arabian Sea, Arabian Gulf, Gulf of Oman, Red Sea, Gulf of Aden, South China Sea, Western Pacific, and the Indian Ocean. He was happy to see his home base of Kaneohe Bay, Hawaii, and eat some good food! Spring has sprung at the Medlin household. Between work and enjoying their sons both being home over spring break, it hass been a busy month. Kathleen and Ray are enjoying spending time together as Ray transitions from his full time military career to being a Realtor. Ray and his youngest son have started a new Jeep project: rebuilding his son’s ’81 CJ5. One last project before he leaves the nest in August! Justin had a great month of March. While he stayed very busy assisting LuxuryMovers clients, he was able to get away for a weekend at one of North Carolina’s great beaches, Atlantic Beach. Aside from work and classes, Justin enjoyed keeping up with the NCAA tournament and was suprised to see Duke go down early! And introducing the newest member of Your LuxuryMovers Real Estate Team – Hunter Williams! Hunter is experiencing an exciting start to his real estate career. While learning the ropes of the industry, he has been eagerly cheering on his alma mater Wake Forest as they finally made it back to the NCAA tournament for men’s basketball. While they weren’t able to come away with the victory in the first round, he was excited to see them back on the map. In his free time this month, Hunter has been mentoring his younger brothers in their athletic pursuits as they try to excel in high school football and youth lacrosse. Your LuxuryMovers gave back to…American Red Cross, Alzheimer’s, Rand Road Elementary, Railhawks, Salvation Army of Wake County, American Red Cross, our houses of worship, and YAKS soccer club. Exciting News: We are proud to partner with Redfin, and even more proud to be designated as “Redfin Rockstars”. Your LuxuryMovers Team was the top team nationally with Redfin for the month of February! We are also proud to announce that Your LuxuryMovers Team received multiple Awards of Excellence from Coldwell Banker Howard Perry and Walston for 2016, including: International President’s Elite (putting our team in the top 3% of the world! ), top Listing Team of the year for our division, top Listings Sold Team of the year, top Volume Team of the year, and top Buy Side Team of the year! Thank you to our entire team, and to our clients for their business and support!. Real Estate News: The town of Knightdale, just east of Raleigh and right off I-540 is an affordable, hidden gem. From restaurants to shopping, greenways and parks, Knightdale has become a place that offers everything you need, plus it is only nine miles from downtown Raleigh. Continuing to haul in the awards and accolades as one of the state’s fastest rising towns, the town of Knightdale was recently ranked number three out of all municipalities state wide on Movoto’s annual list of the Most Affordable Places in North Carolina. Did you know? Raleigh’s population is due to DOUBLE in the next two decades, and about half of today’s growth occurs in Raleigh and Cary combined, according to Wakeup Wake County.